Note: The procedures for removing a CD-ROM, DVD-ROM and CD-RW are identical. 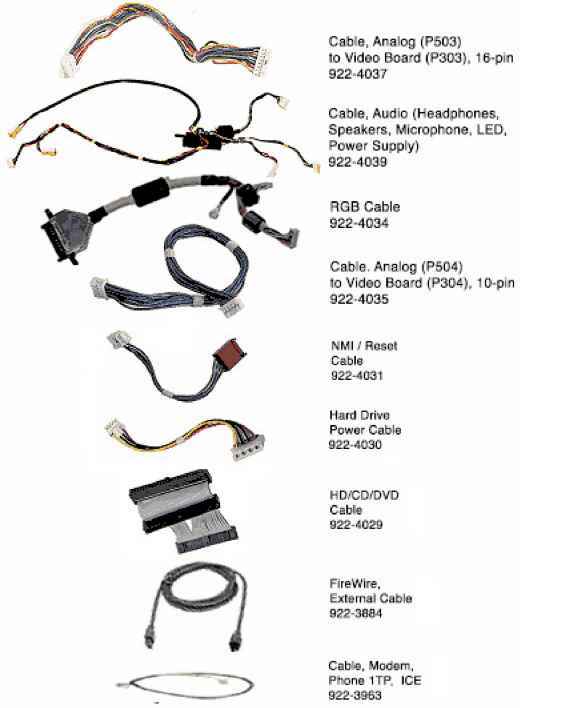 This procedure will reference the CD-ROM Take Apart. 1. 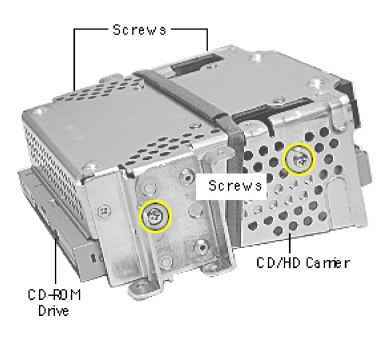 Using a Phillips screwdriver, remove the CD/HD carrier mounting screws (two on each side). Carefully turn the CD/HD drive carrier over. 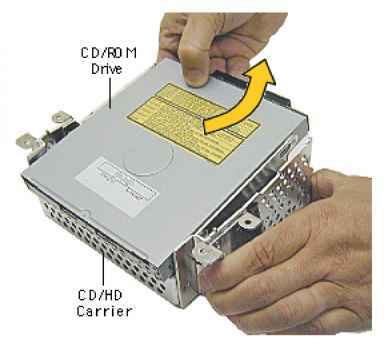 Holding onto the CD-ROM from the rear, lift the CD-ROM carrier out of the CD/HD carrier. Important: Don't press or squeeze the front of the CD-ROM. Squeezing the front could bend the metal housing, making it impossible to insert or remove a CD or DVD disc. 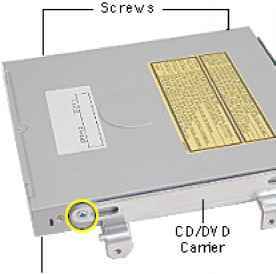 Using a jeweler's screwdriver, remove the four screws (two on each side) on the CD/ DVD carrier. Lift the CD-ROM from its carrier.